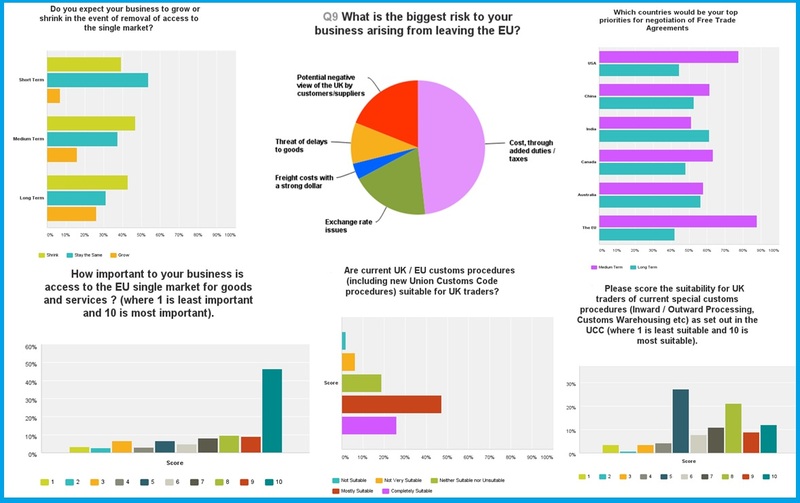 You may remember last month we shared a survey conducted by the Institute of Export asking UK exporters about the direction they’d like Brexit to go in relation to international trade. The IOE have now released the findings from this survey. Click here to find out more of the findings from the IOE survey. The IOE has led the way with ground breaking BREXIT workshops. Launched on 24th June, they are designed to stimulate thought and planning around how this momentum can be harnessed in current markets and with a view to looking at beyond the safety of the EU. Lesley added: “While our relationship with the EU won’t change overnight – and could now be delayed until 2019 – there is no time to waste as fallout from the vote won’t wait for us to invoke Article 50. For example, many EU clients have profound fears and will need reassuring, while a number of other immediate uncertainties could bring benefits or extra costs – for example, short-term currency fluctuations. The IOE’s series of post Brexit workshops are helping businesses to prepare for all the possible scenarios and are helping them to plan the next steps to take to spread their risks. Also delivered in-house, on companies’ premises, you can contact the IOE on +44 (0) 1733 404 400 for more details.